Dr. Raymond Solano is a native Washingtonian, graduating from DeMatha Catholic High School and completing his undergraduate studies at The American University. Dr. Solano attended Life University in Marietta, Georgia, where he received his Doctor of Chiropractic degree. With a passion for sports and helping others improve their quality of life, he later completed the requirements for certification from the prestigious American Chiropractic Board of Sports Physicians to become a Certified Chiropractic Sports Physician (CCSP®). In addition, Dr. Solano has completed an extensive training to become a Graston Technique® Specialist. Since opening in 2003, Dr. Solano has grown Solano Spine & Sport into a premier sports chiropractic facility offering a wide range of services designed to keep you in the game. He is known for providing unparalleled treatments through his unique combination of soft tissue techniques, joint manipulation, and corrective exercise instruction. Dr. Solano's regular visitors comprise a “Who’s Who” of the DC metro area, highlighted by professional athletes and movers-‘n-shakers in government, business, and politics. 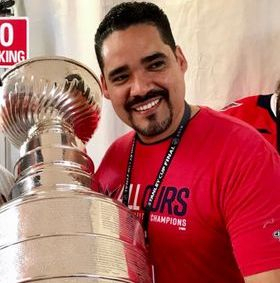 He is the treating chiropractor for the 2018 Stanley Cup Champion Washington Capitals, Georgetown Hoyas Basketball, as well as a consultant to athletes representing the National Football League, and U.S. Figure Skating. Dr. Solano has been featured as an expert on television and radio, where he has discussed the latest trends in physical health and sports medicine. His ideas have also been featured in The Washington Post and Washingtonian Magazine. Many local businesses, schools, and athletic teams have engaged Dr. Solano to present health talks on a range of topics including workplace ergonomics, injury prevention, and wellness. Melissa is a seasoned administrator with an expanded knowledge of healthcare insurance practices. She began her career in healthcare with employment in a multi-doctor Podiatry and surgical facility setting. She takes the initiative to maintain a strong knowledge of current medical insurance practices to assist in providing our patients with the best care possible. Melissa understands the benefit of overall health and wellness for our patients. She enjoys cooking, entertaining, and family time. Born in Alexandria, Sandra attended ACT College where she earned a degree as a Medical Assistant. She welcomes all our patients with a smile and kindness. 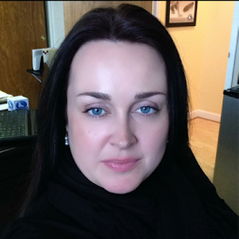 She initially started at the front desk and has grown with our practice to her current position as Billing Manager. She enjoys the personal interactions with patients as well as handling billing and records for the office. In her spare time, she enjoys spending time with family, a good movie, cooking, and catching up with a good book. h Falls, New York where she grew to love the outdoors and animals. She graduated from Rondout Valley High School and attended Ulster County Community College in order to expand her learning experience. Her prior experience includes working in a hospital setting where she learned her passion for helping others. In her spare time, Kacey enjoys playing with her dog and exercise. 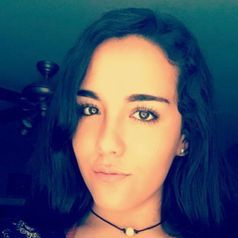 Alyssa was born in Marietta, Georgia and raised in Ashburn, Virginia. She is a student athlete at Briar Woods HS and aspires to pursue a degree in the medical field. Alyssa enjoys the personal experience with patients and strives to accommodate you with everything from scheduling to answering questions about our practice. In her spare time, she enjoys a good movie and spending time with her dog "Banx". 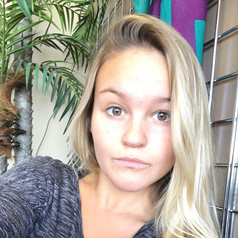 Carly studied massage in Maryland at Anne Arundel Community College and has been a licensed massage therapist since 2012. Her experienced touch ranges from slow and gentle to deep and vigorous, utilizing deep tissue massage and sports techniques, myofascial release, trigger point therapy, and stretching. She enjoys drawing from these various modalities to create an individualized experience that will help each client to feel his or her best. We are truly fortunate to have Carly as a part of our team. In her free time, Carly enjoys yoga and spending time with her son.